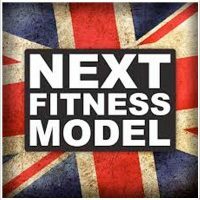 We’ve been professionally tanning for fitness and physique competitions for over five years and due to our quality of work we have secured contracts at many of the biggest UK Events. 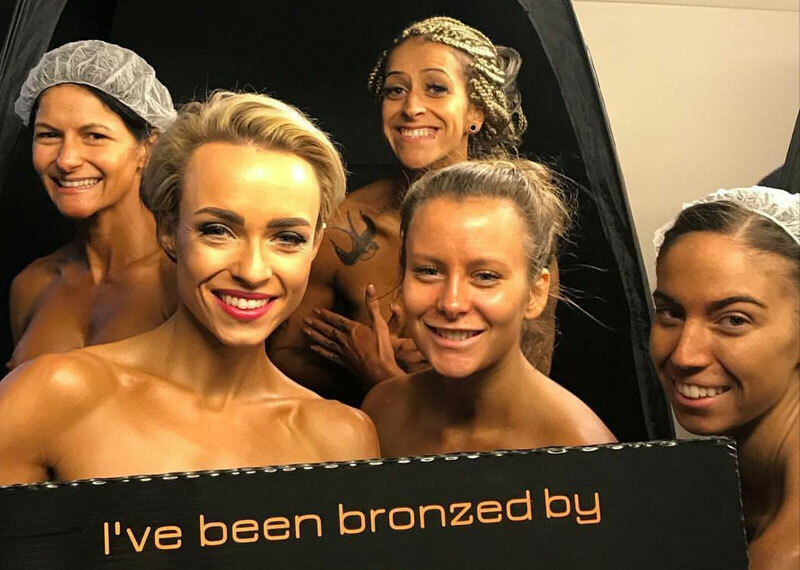 When you book in with Get Bronzed you will know you will get an incredible tan for the stage and also the best customer service with a friendly, professional team. 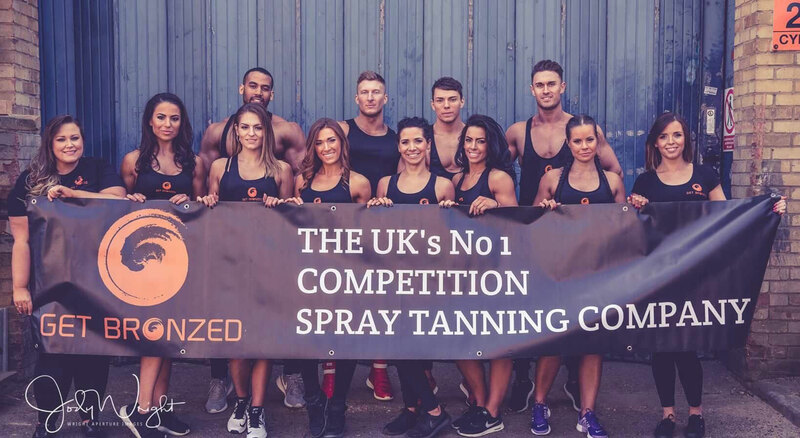 Get Bronzed are the official tanning team at a huge number of events all over the UK. We have tanned the highest calibre of athletes such as IFBB Pro Athletes. We also are the recommended tanning team for many competition prep coaches and teams as they know that their athletes will get a perfect tan and service from Get Bronzed. Your tan is one of the most important aspects of your appearance on stage. A competition tan is much more complex than a regular spray tan and we can provide an easy, professional, stress free service that will ensure you are ready to hit the stage. 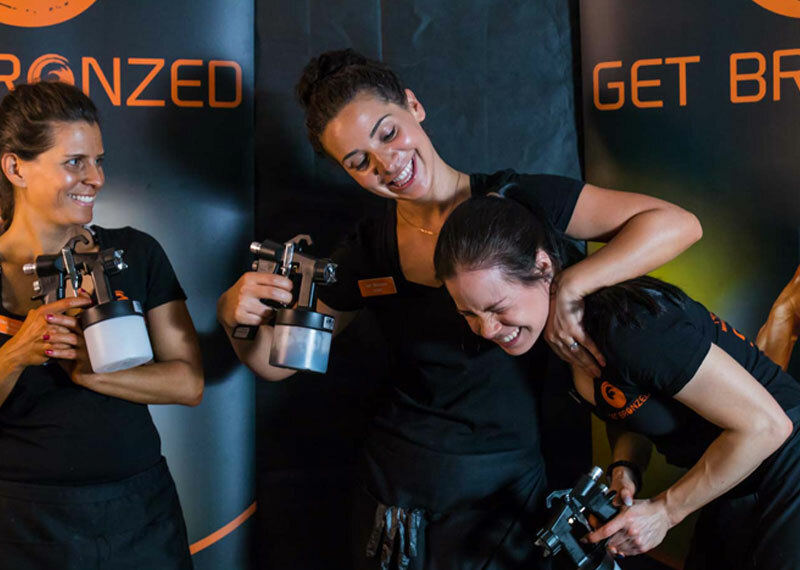 Get Bronzed is involved in the industry and aware of the different federations preferences and also how the tanning for each category can differ. Please be aware that competition tanning solution is a specialized product that is much different from the type of tanning solutions that are regularly used in tanning salons. 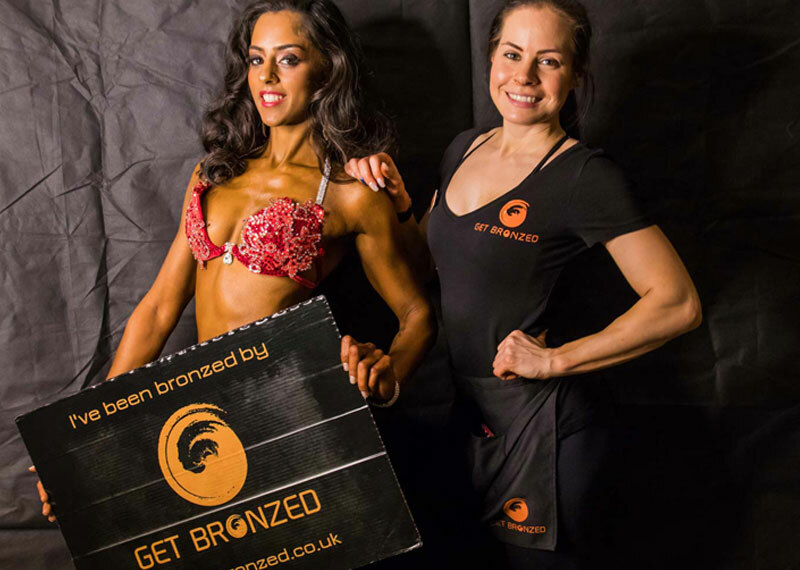 You absolutely must use a tanning solution which is intended for bodybuilding/fitness competitions – using any other type of solution will not produce a final colour that is dark enough under the bright stage lighting. 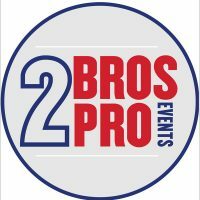 We understand that while on prep you will have a lot on your mind and a lot to organise! 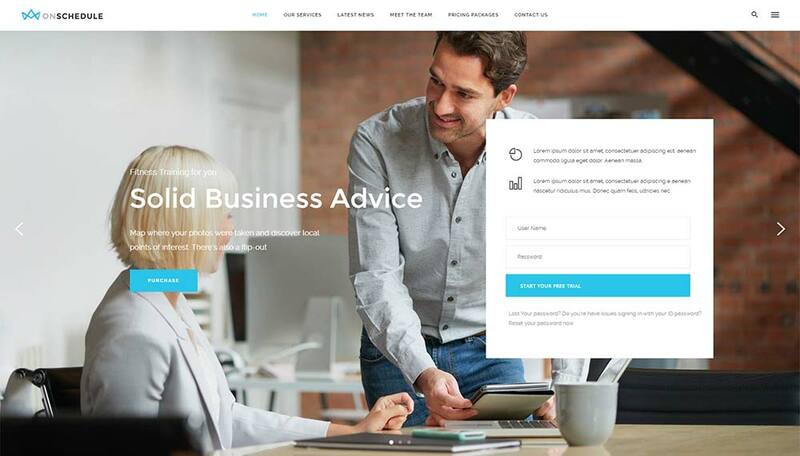 So we have made the booking process for your tan as easy as possible – Just go to our Book Now page, click your competition and then you can create your own Get Bronzed account and pay for your tan. 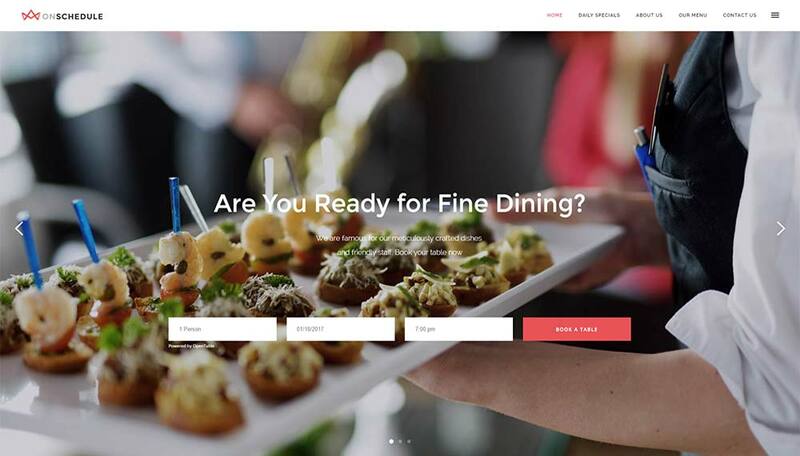 Any questions just send us an email and we’ll get back to you as soon as we can. 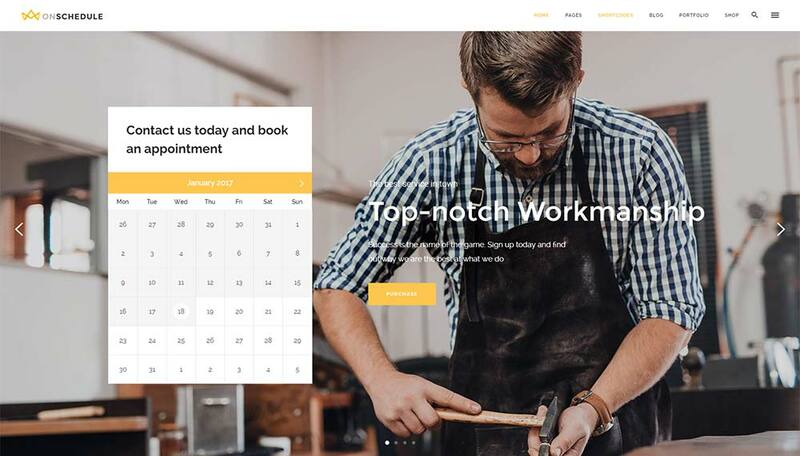 You can book in your competition tan with Get Bronzed through the ‘Book Now’ button and then you will receive more information after you have booked. 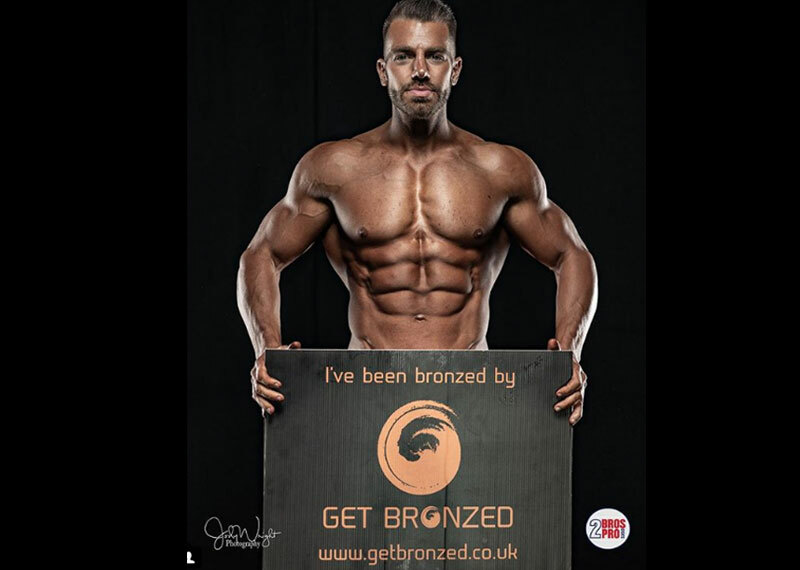 If you have any questions please do email us on info@getbronzed.co.uk or via the contact form here.